Finance Minister Lim Guan Eng has admitted that the official government debt is RM686.8 billion and not RM1 trillion. However, after including the so-called liabilities, the amount of the debt plus the liabilities exceeded RM1 trillion, he said this in a statement issued at 5pm today. The statement was issued in the wake of investors pulling out almost a billion of funds after Dr Mahathir’s RM1 trillion statement on Monday, which Lim himself had corroborated on Tuesday. The liabilities mentioned by Lim are: Government Guarantees: RM199.1 billion; Government obligatory lease payments: RM201.1 billion. 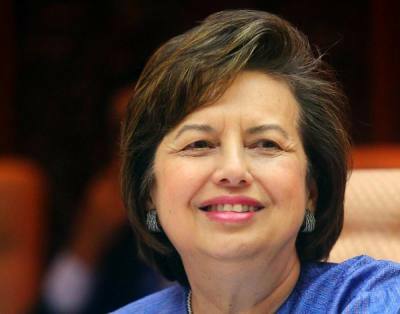 KUALA LUMPUR – May 24, 2018: Bank Negara Malaysia (BNM) former governor Tan Sri Zeti Akhatar Aziz today declined to comment on the government’s claim that the country’s national debt now stood at over RM1 trillion. The claimed figure did not tally with the central bank’s official figure of RM705.1 billion reported on Tuesday. “I’m not going to comment. You all already know that Tun Daim is going to make all the announcements,” Zeti said after a meeting of the Council of Eminents Persons at Menara Ilham today. Daim Zainuddin is chairman of the Council, which was set up to advise the Prime Minister. Zeti is a member. The RM1 trillion national debt was first cited by Prime Minister Tun Dr Mahathir Mohamad while addressing staff of the Prime Minister’s Department on Monday. The number was immediately questioned by various quarters on social media but was later corroborated by Finance Minister Lim Guan Eng. While Dr Mahathir did not explain how the RM1 trillion figure came to be, Lim claimed that the discovery of the “real national debt” was due to an accounts’ consolidation exercise between all relevant departments. “Previously, certain files were not accessible by certain people and therefore, consolidations were not available,” said Lim without elaborating. Aside from the amount of the national debt, the country’s debt-to-GDP (Gross Domestic Product) ratio also varies, with BNM stating that the figure was at 50.9 per cent as opposed to the government’s claim of 65 per cent. The day after Dr Mahathir mentioned the RM1 trillion national debt, Business Times reported that foreign stock investors had withdrawn a total of US$937.8million from the local stock market. Former prime minister Datuk Seri Najib Razak yesterday issued a statement stressing that such a contradictory statements by the government will alarm credit rating agencies, spook investors and tarnish the image of BNM. “As a result of these alarming and confusing statements, our Bursa Malaysia index fell the most among all worldwide stock markets resulting in tens of billions of ringgit in market value wiped out in one day. Our Bursa index fell 40.78 points today or 2.21 per cent while the Indonesian stock index added 0.71 per cent. 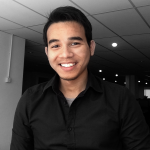 “Surely this fall would affect our funds such as EPF (Employees Provident Fund) and PNB (Permodalan Nasional Berhad) and could lower the dividend rates for its members,” read Najib’s statement.